2. 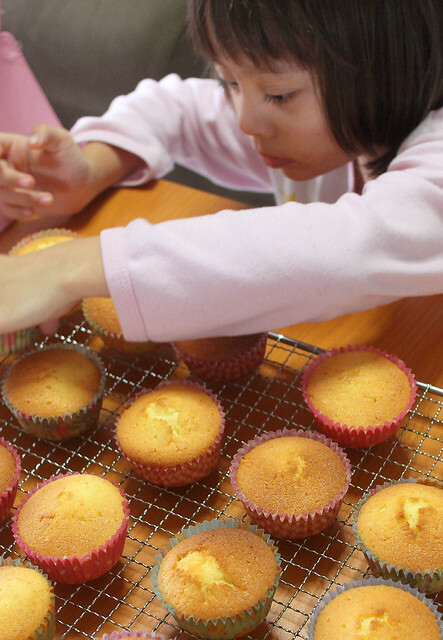 Line muffin tins with cupcake papers. 3. In a small bowl, combine the flour and baking powder and salt, if using. 4. In separate container, combine the coconut milk and vanilla extract. 5. In a large bowl, on the medium speed of an electric mixer, cream the butter and sugar until fluffy, about 3 minutes. Add the eggs, 1 at a time, beating well after each addition. 6. Add the dry and alternately wet ingredients in 3 parts. With each addition, beat until the ingredients are incorporated but do not over beat. Using a rubber spatula, scrape down the batter in the bowl to make sure the ingredients are well blended. 7. Carefully spoon the batter into the cupcake liners, filling them about 2/3 full. 8. 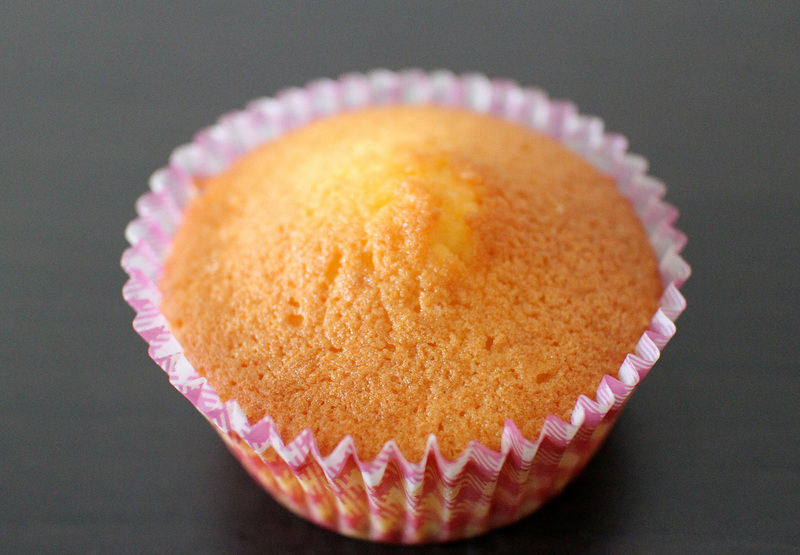 Bake for 20 to 25* minutes, or until a cake tester inserted into the center of the cupcake comes out clean. * At the 20-minute mark, reduce heat to 160°C (325°F). The tops of the cupcakes should be lightly golden. This seems optional. My oven doesn't go below 180, so I just stopped it there - it was just nice, even though I had a double batch of 30 medium sized cupcakes baking in three layers. 8. Cool the cupcakes in tins for 15 minutes. Remove from the tins and cool completely on a wire rack before icing. Oh how I love my Snapware cupcake carrier...so neat and nifty. 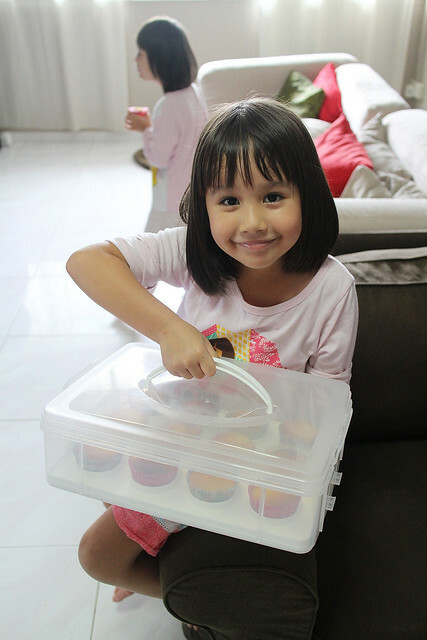 My mom would bake cup cakes if she can't sleep at night and everyone will wake up with fresh cup cakes for breakfast.